Read all about past SNAP-SEE events and see some photos from latest event. The last meeting of the SNAP-SEE project partners was held in Bled in Slovenia, the day before the final conference. The 6th Steering Committee Meeting was organized by the Geological Survey of Slovenia in cooperation with the Iskriva Institute and the Montauniversitaet Leoben on 21st October 2014 in the premises of the hotel Park. Final results were presented and future steps were aggreed, focusing on the further work and looking forward to sustain cooperation on a field of mineral resources planning. The 5th SNAP-SEE Steering Committee Meeting took place in Chania on Crete, Greece, between the 9th and the 10th of September 2014. The host of the event was the Technical University of Crete. 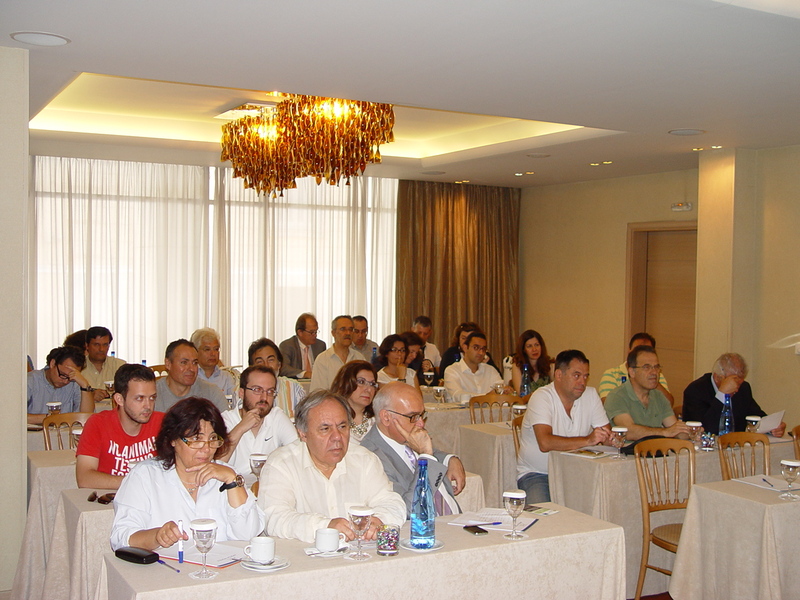 35 participants from 11 SEE countries have gathered in the premises of the Chania Chamber of Commerce and Industry. On the first day of the project meeting partners presented their work, reviewed the progress regarding the translation of the handbooks and the Final publication and agreed upon the next steps. The Organizing Committee of the Final SNAP-SEE conference, which will take place in Bled in October, opened discussion about the programme and presented the 2nd announcement. The next day partners discussed about the SNAP-SEE follow-up activities and projects on the theme of the Mineral policy call – H2020, the two new transnational programmes and future steps. The Croatian Geological Survey in cooperation with The Croatian Chamber of Commerce organized its second national consultation on the 7th July 2014 in the premises of the Croatian Chamber of Commerce. Invitations for active participation on the meeting were sent to targeted groups related to spatial planning and regional planning. These included ministries and authorities responsible for mining, environmental protection and regional planning, representatives of regional authorities, county offices and institutes for spatial development.The invitation was answered by 25 participants. The main aim of the meeting was sustainable aggregate planning on a national and regional level. Presentations on new practices in the study, use and recycling of aggregates, economic and environmental advantages of life cycle approach, the planning of sustainable mixed supply of stone aggregates and the importance of recycling were held. As an introduction to the discussion, Guidelines for Aggregates Planning at the National / Regional Level (Work Package 5, activity 5.2) were presented, including the best aggregate planning practices in Europe, and the methods of implementing them in the creation of spatial plans. The discussion was focused mainly on the Ordinance on Content and Method of Making Mining-Geological Studies in the Republic of Croatia, in order to improve the quality of planning and sustainable management of stone aggregates on a national and regional level. Public research institutions and county zonning offices, for which the Department of Mineral Resources has developed mining-geological studies, are interested in further cooperation by launching an initiative with the Ministry of Construction and Physical Planning with the aim of implementing zones for exploration and exploitation of mineral resources when developing future state spatial plan of the Republic of Croatia under the Law on Spatial Planning (153/13). The participants found the presentations very informative and the exchange of ideas dynamic and creative. Hopefully, the consultation has succeeded in prompting a higher level of cooperation between various groups with the final goal of sustainable mineral resources ́ planning. The Ministry of Economic Affairs of Herzegbosnian Canton has organized on 20th June 2014 in Livno the second regional stakeholder consultations within the project Sustainable Planning aggregates in South East Europe. Partners from the Croatian Geological Survey from Zagreb and theFaculty of Mining and Geology from University of Belgrade (Serbia) have presented following topics: Life cycle of aggregates, Sustainable supply mix and recycling, Green public procurements and National/regional guidance on aggregates planning scheme. Key conclusions from the 4th Steering Committee Meeting held in Pula (Croatia) in April 2014 have also been shared to the participants of this round table. After the presentations the stakeholders have started vivid discussion about presented results from the first round table held in Livno in 2013 and responsibilities of the government administration at all levels in Bosnia and Herzegovina and Federation of Bosnia and Herzegovina related to the aggregates planning. (3) creation of interactive map of aggregates resources based on geographical information system (GIS) that would be available online on the official website of the Government of Herzegbosnian Canton for the use to all stakeholders. Also they have discussed about the existing complex legislation and regulation framework governing the sector of aggregates, the problems of conducting inspections and supervisions and the existence of unfair competition. This roundtable has brought together the representatives of the Federal Ministry of Energy, Mining and Industry of Federation of Bosnia and Herzegovina, various ministries, municipalities of Herzegbosnian Canton, Development agency of West Herzegovina County (HERAG), companies that deal with the exploitation of aggregates and construction companies. Some images from the second stakeholders consultation in Bosnia and Herzegovina please find in galleries. The 2nd Greek stakeholder consultation was organised by the Institute of Geology and Mineral Exploration of the National Centre for Sustainable Development in collaboration with the Technical University of Crete and took place in Athens, on 13 June 2014. To share our views and collect ideas from stakeholders on how this planning scheme can be improved in order to make planning for aggregates sustainable. The consultation gave the opportunity to the participants to express their views, to debate in matters of planning at a national and regional level and to identify the main challenges regarding aggregates planning. Aggregates’ planning is not always supported by reliable and up to date data and currently applied planning does not consider both primary and secondary aggregate resources. It was agreed that sustainable aggregates’ planning is a big challenge in Greece. It was acknowledged by all the participants that the second consultation was also a successful event and it was concluded that the results will be communicated to the Competent Planning Authorities and other relevant stakeholders. The number of participants reached the 41, 21% of which were representatives of the national and regional planning authorities and 25% industry representatives. The second part of the event was dedicated to open discussion with all the participants on important issues related to sustainable aggregates planning. 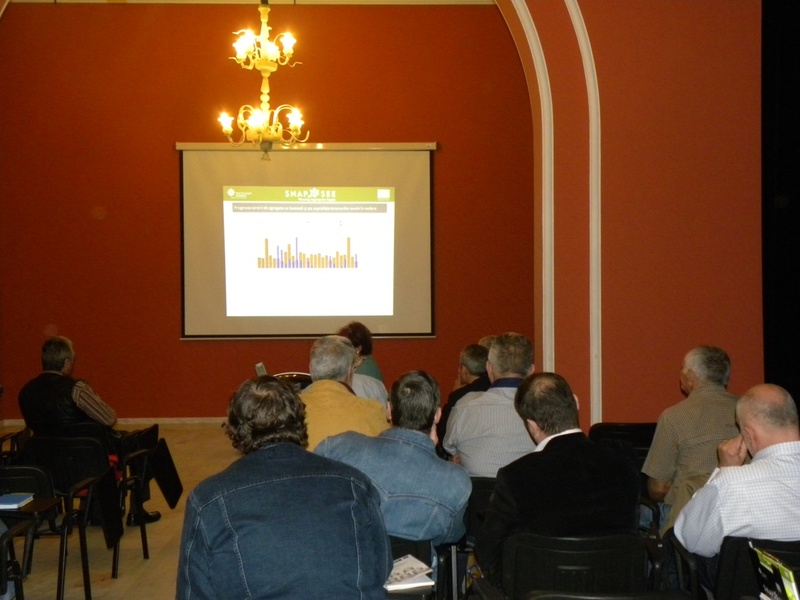 Two Romanian stakeholders’ consultations have been organised by Geological Institute of Romania (ERDF PP6) on November 17, 2013 (Fig. 1) and June 05, 2014 (Fig. 2), respectively, in Bucharest (National Museum of Geology). The purpose of these consultations, set up as a workshop and round table type event, was to promote the SNAP-SEE project and to establish new contacts with stakeholders for their contribution in the national aggregate planning activity. The participants were representatives of public authorities (Ministry of Economy, National Agency for Mineral Resources), mine operators in aggregate domain, asociations of aggregate producers and of construction materials, and research and education institutions. Both stakeholder consultations were organised in two parts. The first part of each event was assigned for oral presentations (with time for questions and answers) concerning the general objectives of SNAP-SEE project, the main purposes of the existing Aggregates Resource Plan (e.g. Austrian Plan), and the data need for an aggregate resource plan, besides the relevant data on strategy of mining industry in Romania (horizon 2035), on the state of art in Romanian aggregate industry, on the principles of aggregate demand forecast, on SNAP-SEE results and perspectives, and on the European standards for aggregate industry vs EU standards for construction materials. Fig. 1. First stakeholder consultation in Bucharest (RO) – November, 17, 2013. Using of recycled aggregates – a very limited action at national scale and which still need to be regulated (best practices code of C&DW recycling, methodology of end-of-waste status for C&DW). Creating an administrative body to develop and implement the aggregate/mineral planning. The Geological Survey of Montenegro organized its second national consultation on the 30th May 2014 in premises of the Hotel M Nikic, Podgorica. Invitation for participation at the meeting was sent to all interested for aggregates supply planning issues, especially representatives of producers and users of aggregates, state institutions, local government, institutes and faculties, consulting companies, NGOs. At the meeting, 32 participants were present, representatives of stakeholders from various area, involved in aggregates supply issues in Montenegro, as well as representatives of project partners from Serbia and Slovenia. The aim of the meeting was to show approaches of creating models of sustainable planning of aggregates supply based on present conditions in aggregates industry, with introduction of new ways of thinking and treatment of life cycle of aggregates, ways of their testing, usage of recycled aggregates, their positive effects and limitations, and public procurement policy. In the name of the host, meeting was opened by Slobodan Radusinović, Deputy Director, project manager for Montenegro, who briefly introduced participants with program and goals of the meeting. Participants were also welcomed by Prof. Vladimir Simić from the Faculty for mining and geology, and Mrs. Urška Dolinar, representing the lead partner University of Leoben. Within the meeting, discussion named “Aggregates production and supply planning in Montenegro“ was held. Participants actively participated in discussions, where answers and suggestions were collected, for solving important questions related to planning aggregates production and supply. We are pleased to note that the second national consultations with stakeholders completely justified expectation of participants, organizers and SNAP-SEE partners. Some images from the events please find in galleries. Can production of aggregates be sustainable? The Slovak Association of Aggregates Producers which brings together 47 members has a long-term cooperation with the Ministry of Environment of the Slovak Republic. At present they are working together on the international project SNAP - SEE - Sustainable Aggregates Planning in South East Europe. The President of the Slovak Association of Aggregate Producers, Ing. Peter Gajdzica, discussed the objectives of the project with the Slovak project manager RNDr. Vlasta Janova, PhD. The aggregates sector is the largest sector in the Non-energy mining in Europe. What was the motivation of the project leaders to address the project to aggregate? According to UEPG data, the total aggregate extraction in Europe is about 3 billion tons per year. It involves about 17,000 firms, 24,000 operations and provides jobs for approximately 300,000 employees. From these figures it is obvious how important the aggregate production is in Europe. Despite the importance, the representatives of this sector invoke the more systemic solutions to problematic issues at the European level, for example improvement of future access to sources of aggregates, setting priorities in aggregates planning, simplifying the process of permitting, resolution of conflicts between mining and nature protection, removing unreasonable barriers to the recycling of aggregates etc. What are the sources of funding and which countries are involved in? The project is financed from the EU Transnational Co-operation Programme, which is called “South East Europe”. The total project budget is 1.7 million EUR and it involves 27 partners from 13 countries of South-East Europe, including Slovakia. Could you explain to our readers what the main objectives of the project are? The project aims to develop tools to support planning of primary and secondary aggregates, collection and exchange of information on the management of aggregates between Member States SE Europe and capacity building. If you translate it into a “human speech” it is about training manuals and materials under which the Member States should start the planning process in aggregates with respect to lifetime of mineral deposits, future generations, environment and projected needs of the society. In the field of ​​capacity building it means training professionals for addressing conflicts of interest and resolve conflicts among stakeholders, i.e. among miners, environmentalists, municipalities, property owners, planners, NGOs, etc., and also the involvement of all stakeholders in the planning process, which takes into account the needs of all target groups. Project's importance lies mainly in its international activities oriented to harmonize the approaches, policies, plans and legislation on aggregate in the countries of southeastern Europe. These activities will contribute to the introduction of management of mineral resources to ensure sustainable supply of aggregates , exchange of experience and information, protection of environment through the use of secondary aggregates and ultimately to creating intelligent information system for supplying aggregates. In early April of this year a second round of consultations with stakeholders was organized in Zvolen. What is the main benefit of such consultations? Met this meeting the required purpose? After the first consultations, which was held in October 2013 in Novy Smokovec in the High Tatras Mts., we prepared the second consultations a little more experienced. We found out that the relevant stakeholders group cannot be too large, because there is no guarantee that everyone involved in can get the opportunity to express his opinion and to be heard. For this reason, only about 40 stakeholders were invited to the consultations. The aim of the consultations was to work together and find answers to some questions concerning the sustainability of aggregate planning and resource efficiency. The active participation of stakeholders in group work, defining some of the problems in aggregate planning and production and suggestions for addressing them can be considered for the great contribution. I am sure that the meeting fulfilled its purpose. What so interesting has been proposed? For example, that if the aggregate producers want to get on their side municipalities and citizens, they must be motivated. There was very clearly supported the proposal that part of the royalties for extracted minerals (50 %) should be provided to the municipality in which cadastre the extraction takes place and which is affected by mining. Also, some specific measures have been proposed to incorporate in the upcoming mineral policy in the area of ​​ aggregates recycling, the use of secondary aggregates and implementation of principles of green public procurement in aggregate. And when could we expect the final results of the project? Will the publications be publicly available? Will they be translated? SNAP - SEE project ends in September this year. Until then, the publications must be prepared and translated into national languages ​​of all project partners. The Slovak copies of documents will be distributed to all involved and interested in stakeholders by mail and for the professional and general public they will be free available on the project website: www.snapsee.eu, on the website of the Ministry of Environment (www.enviro.gov.sk) and the Slovak Environmental Agency (www.sazp.sk). If interested, the project outputs can be accessed through the website of the Slovak Association of Aggregates Producers, which represent the most important group of stakeholders. This is an excellent idea! Mrs. Janova, thank you for the interview. Let me wish you a lot of energy and good ideas to the successful completion of the project. Good luck. Some images from the 2nd round of Slovak stakeholder consultations please find in galleries section. After the first round of stakeholders consultation, the Geological Survey of Slovenia as an ERDF Partner in the SNAP-SEE Project organized the second Slovenian SNAP-SEE Stakeholder Consultations for all interested public in Sustainable Aggregates Planning in South East Europe. The event, entitled “Guidelines towards sustainable mineral resources planning”, took place in the premises of the Geological Survey of Slovenia on Wednesday, 14th May 2014 with the opening of the meeting at 10:00 AM and closing at 2:00 PM. To discuss about Slovenian mineral plan, its development process and importance. How should the ideal excavation site in Slovenia look like? What are the basic requirements that a new quarry should meet? Dynamic conversation between 30 participants, representatives of different sectors on the field of aggregates´ planning, made very creative atmosphere, which brought some significant suggestions that could be seen as guidelines towards sustainable mineral resources´ planning. Some images from the second round of Slovenian consultation please find in galleries. On Thursday the 8th May 2014, the second stakeholder consultation took place in Rovereto in the premises of the Progetto Manifattura: this second national event was arranged by the Autonomous Province of Trento and the Emilia-Romagna Region, both partners in the SNAP-SEE project. If the first national stakeholder consultation, held in Ferrara on the 18th September 2013, was dedicated to the presentation of the European project paying attention to its topics and purposes, this meeting intended to share the results gained in the project with the stakeholders and to give new perspectives and proposals for the sector of all the aggregates. For this reason the meeting title was “Natural and Recycled Aggregates: the shared utilization of the data as potential in the sector”: the clear hint was to highlight the importance of the data management and of the data analyses in order to have effective tools not only for the public administration but also for the SMEs and other private users. All the speakers pointed out that only reliable and accurate data can bring useful information: the knowledge without such high-quality information is partial and misses to describe properly a complex system such as the one of the aggregates. Relationships and activities, articulated both by technical regulations and utilizations, were in depth explained to the audience, but also new proposals such as the certification of the supply chain of the aggregates and the use of IT technologies were shown. The participation of the Ministry of the Environment permitted to give a look on the validation and accuracy of the data collection methods related to the indexes given by the European regulations, particularly referred to the wastes. Moreover some examples of already used database were explained such as the one presented by the Emilia-Romagna Region regarding the data structure of the regional cadastre about extraction activities. The audience participated actively in the discussion started before the coffee break and continued after the last speaker’s presentation, highlighting the need to deepen the technical aspects of the produced materials. Some photos from the event please find in galleries section. The 4th SNAP-SEE Steering Committee Meeting took place in Pula, Croatia, between the 9th and the 11th of April 2014. The host of the event was the Croatian Geological Survey. 36 participants from 11 SEE countries have gathered in the premises of the Hotel Pula in the old town Pula. After the Meeting, Croatian project partners organized a field trip to the interior of Istria, which have included a visit to the quarries of Croatian stakeholders in the SNAP-SEE project and a tourist sightseeing tour of the historical center of Pula. The first stakeholders consultation in Greece was successfully completed on Friday 7 February 2014. The event was coorganised by the EKBAA-IGME and TUC partners and it was attended by 51 participants. Participation exceeded the anticipated number of invited participants. Aggregates planning authorities, industry and academic institutions were strongly represented by high ranking representatives. SNAP-SEE project received positive remarks. The consultation attracted the attention of all key stakeholders giving them the opportunity to debade on key planning issues. During the consultation the common SNAP-SEE promotional packages, leaflets of the SARMa and SNAP-SEE projects and the SARMa manuals were distributed. There was also a press release in Greek. The 3rd SNAP-SEE Steering Committee Meeting took place in Bratislava, Slovakia between the 13th and the 14th of November 2013. The host of the event was the Ministry of Environment of the Slovak Republic. 39 participants from 13 SEE countries have gathered in the premises of the State Geological Institute of Dyoniz Stur in Bratislava. After the Meeting, Slovakian project partners organized a field trip. Partners visited a Devin quarry, a Devin Castle, the natural protected area of Sandberg and had a guided city tour in Bratislava. Some photos from the Bratislava Meeting please find in the galleries section. The Technical University of Crete, as the Lead partner of the SNAP-SEE work package 4 (WP4), in collaboration with EKBAA-IGME and the Autonomous province of Trento - Environmental Protection Provincial Agency organized a bilateral WP4 meeting that took place in Athens, Greece on 1st November 2013. It was held in a meeting room at the EKBAA-IGME premises. During the meeting, a discussion was held on how to best structure the material for the WP4 handbook. It was agreed that a data dictionary will be included in the manual (WP4.1), as well as a section on methodology (WP4.2). Images from the WP4 Bilateral Meeting please find in the galleries section. To highlight the importance of conflict management. There were 30 participants involved at the workshop, representing different sectors: ministry (Ministry of National Development), authorities (Hungarian Office of Mining and Geology, National Institute for Environment), civil sector (Federation of Technical and Scientific Societies – Scientific Society of Silicate Industry, Non-Profit Llc. for Quality Control and Innovation in Building, Lechner Lajos Knowledge Centre), experts (Geological and Geophysical Institute of Hungary, Budapest University of Technology and Economics – Engineering Geology Division, University of Miskolc – Faculty of Earth Science and Engineering – Institute of Raw Material Preparation and Environmental Processing, Hungarian Mining and Metallurgical Society, senior experts), industry (Hungarian Mining Association, Basalt Ldt.). The consultation included short oral presentations and roundtable discussions. The presentations covered the topics of aggregates resources, planning and recycling, the legal framework of aggregates supply, and conflict management. After the opening speech of the Director of the Hungarian Geological and Geophysical Institute the first lecture was presented by the representative of the Ministry of National Development about the infrastructural demand side of aggregates. Introduction to the SNAP SEE project and the domestic aggregates situation were presented in the first session of the Consultation. In the second session of the Consultation Stakeholders listened presentations about aggregates planning – need – data, aggregates recycling, related data and Sustainable Supply Mix, nature conservation, related regulations and Green Public Procurement issues as mandatory element of the Stakeholder Consultation. The third session was the field of presentations of Stakeholders on the following topics: domestic aggregates potential, legal framework of construction raw material supply, a way of recycling: producing geopolymers, complex conflict management: mining, nature and cultural heritage conservation, local communities, community planning. At the end of all sessions a consultation helped to discuss about the current problems regarding mainly the lack of aggregates planning. In the final consultation session Stakeholders could discuss about the possible next steps to improve the communication, complex conflict management and to establish aggregates strategy and aggregates planning. Images from the Hungarian workshop please find in the galleries section. you can find a brief summary of the national stakeholders consultation in croatian language, including a report of the event, attendance list and the presentations in PDF format. Slovenian SNAP-SEE Stakeholders’ Consultation "Aggregates Supply in Slovenia"
- To present the project with its objectives and results that should be achieved. 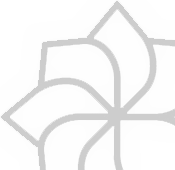 - To introduce participants with results and recommendations of SARM project. - To collect input data through interactive workshop and discussion on questions related to problems of aggregates production, supply and planning, in Montenegro. 33 participants were involved at workshop, representing different sectors such as: representatives of state authorities and institutions form the area of: environmental protection, inspection affairs, construction and road maintenance, statistics, representatives of aggregates producers, mining and construction companies, experts from geology and mining, representatives of ministries in charge for mining and geology, finance, foreign affairs and European integrations, as well as representatives from non – governmental sector, educational institution and local community, with support of Serbian and Croatian project partners and project consultants from Alianta. In the first part of the workshop they had introductory lectures, with aim of presenting the SNAP – SEE project and SARM project, conditions in the aggregate production sector in Montenegro, review of legislation related to concession, exploration and exploitation of mineral resources and waste management in Montenegro, examples of legal and regulatory planning in Croatia and good practices in aggregates planning in Austria and Great Britain, as on data on primary aggregates needed for proper planning and analysis of demand. Interactive workshop was conducted by a carousel method and discussion on questions related on problems of aggregates production, supply and planning in Montenegro and gave answers to prepared questions. Problems of voluminous administrations were emphasized (concession award procedures, permits, approvals, compliance), non – compliance of spatial – planning documentation at local and state level, problems of illegal exploitation and recultivation of mines where exploitation is finished or suspended. Suggested solutions refered to unification of administration (one stop shop), harmonization of spatial planning documentation, adoption of a Plan of mineral resources exploitation that would be implemented in spatial plans, and Aggregates management strategy, harmonization of sand and gravel exploitation with EU regulations, formation of the basic database of primary and secondary aggregates and introduction of more efficient control of concessionaires and those involved in illegal exploitation. The first Italian Stakeholders Consultation was organized as an inside-happening of RemTech (Remediation Technologies) fair, on 18th September 2013, one of the most important environmental exibition/fair in Italy. In particular, RemTech 2013 was divided in three main happenings, each one dedicated to a specific environmental sector: Inertia 2013 represented the aggregate sphere and part of it was devoted to the SNAP stakeholders consultation. The consultation was organised by both the Italian SNAP partners, Emilia-Romagna Region and Trento Province, with the contribution also of the Parma Province, an Italian observer (OP3). At the end of the day the event allowed a first contact with the participating stakeholders, which were represented by some industries and SMEs but also by some public regional administrations not belonging to the SNAP-SEE project. Images from the Italian workshop please find in the galleries section. SNAP-SEE stakeholder meeting in Bosnia and Herzegovina, organized by the Ministry of Economic Affairs of Canton 10 (MGK10) on 20 June 2013 in Livno, has provided great opportunity for all stakeholders and participants to gain significant knowledge and insights about SNAP-SEE project. Present and future trends regarding sustainable aggregates planning were the main topics. Coordination team presented by MGK10: Ivana Suša, Vasilija Broceta and Robert Kaselj, with support of project partners Željko Dedić and Boris Kruk from the Croatian Geological Survey, Vladimir Simić from the Mining and geological faculty, University of Belgrade and Jim O’Brien, past president of the UEPG, gathered a day before and set up the stage for a successful event. Interactive session followed by given presentations at the round table next day was surprisingly dynamic and open leading to many suggestions and conclusion, showing that planning aggregate supply can be an interesting topic with strong importance for all participants. Key remarks of Jim O'Brien, one of the lecturers of the event were: "The 30 or so participants featured a very even balance between Ministry and the Industry. In that way, there was a very good airing of views and opinions from both sides… The discussion groups worked extremely well, leading to very frank and open discussions… I will retain very happy memories of the event and of the friendly people of Bosnia-Herzegovina". Participants were extremely satisfied with speakers and entire organization and they were highly involved in the whole process. Discussions acted really as brainstorming session. Feedback from them will be a key factor and will be used for formulating recommendations for the project as well as for improving aggregates planning in the region. Therefore, event purpose was fully achieved. Please, find some photos from the workshop in the galleries section. SNAP-SEE project partner Geological Survey of Albania has organized first Albanian national stakeholders consultation entitled "Planning - a need for sustainable use of aggregates" in Tirana on 12th June 2013 in the premises of the Ministry of Economy, Trade and Energy. This event reached 47 participants from the ministries, universities, extractive industry, water management authorities, NGOs and media. After the opening of the meeting by Mrs. Moisiu, Mr. Jim O’Brian brought his experience and expertise, followed by discussions on several topics, related to planning, exploitations rehabilitation of quarries, improvement on Albanian legislation, investments on mining sector and environments, mining legislation and policies, needs for a cooperation among ministries and relevant institutions on permitting, monitoring and control etc. - To set up a multi sectorial and inter institutional working group which should work on elaboration of a platform for aggregate planning. The group will consist of representative from: industry, NGO and Researcher institutes and local experts. - A Reassessment of aggregate resources is a must for a good planning. It is necessary that AGS prepares a map which shows all available aggregate deposits in Albania. This map has to be provided afterwards to the Ministry of Environment which from its side will make use of it as an alternative to substitute river aggregates with crushed rock aggregates. This measure can help in protecting riverbeds from negative phenomena such as erosion, floods, land loss, etc. This way we have more warranty on environment protection. - Establishment of a Laboratory for raw materials equipment by new technology. This laboratory has to be within METE administration. - Riverbeds gravel should be exploited based on drafted River basin Management Plans. These plans will be based on the new environmental legislation. This very successfully paved a road towards future sustainable aggregates planning in Albania. Event was covered by a broader audience by the presence of mass media. For more information about the workshop visit www.gsa.gov.al/alb/aktualitet/SNAP/konsultimi. Please, see some photos in the galleries section. The 2nd meeting for SNAP-SEE project partners took place in Budva, Montenegro, during 15th - 17th May 2013. The host of the event was Geological Survey of Montenegro. 38 participants from 11 SEE countries have gathered at the SNAP-SEE event in Budva. You can see the photos in the galleries section. Training for SNAP-SEE project partners took place in Budapest during 13th - 15th February 2013. The host of the event was Geological and Geophysical Institute of Hungary. 49 participants from 13 SEE countries have gathered at the SNAP-SEE event in Budapest . You can see the photo gallery in the galleries section. First SNAP-SEE event called Kick-off Steering Committee meeting of the SNAP-SEE project and training for project partners on SARM and SSM topics happened during 24th - 26th October 2012 in Leoben, Austria. Project's lead partner Montanuniversität Leoben was the host of the meeting. More than 40 representatives of SNAP-SEE partners attended the meeting. The purpose, goals and information flows were overviewed. Organisation of work, definition of roles and persons responsible were determined and communication plan was presented. Project logo and slogan were chosen democratically during the meeting. Capacity building materials were also presented and a discussion about the materials was held. You can see the meeting's photo gallery in the galleries section.